The beginning of the year brings about a time of reflection. As I was pondering all the ups and downs of this past year, I went into my small group class at church. We had spent a little extra time lingering over our study of Revelation last fall, and having just completed this, we began our next study, which is a study of Genesis. I contemplate that it seems so fitting that we would go back to the beginning as the new year begins. I have spent some time considering new beginnings lately as my children are beginning to get older. It’s difficult when you’ve been a mom for over 20 years: most of my children are grown and the youngest two are not so little anymore. They simply don’t seem to need me like they used to! As we discussed the fall of man and the effect of sin on this world, I was really feeling a bit of an internal struggle regarding whether I’ve done enough when it comes to my role as a parent. I felt that anxiousness about the passage of time and whether I have used it wisely. Then, in worship, my pastor began to preach and to remind us that as we count away the hours in our daily rush, we are wishing our lives away. However, God is infinite and timeless; He exists completely outside of time. He has no urgency for tomorrow. He reminds us in His Word that “The thief comes only to steal and kill and destroy. I came that they may have life and have it abundantly” (John 10:10). I realized that my concerns are probably whispers of the thief attempting to rob my joy. I realized that I’ve been grumbling, instead of being thankful. As I fold each shirt or scrub each dish, I should be thanking God that I have a family member in my house who needs that shirt and will eat from that dish. However, I get caught up as I serve that I should not have to do this–or that; but He came, here, in flesh like mine, to walk with me that I might have life more abundantly. Stop! If you are like me, you glazed over that. Take a moment to breathe that in. He came to us . . . from heaven! He longs to walk with us . . . on earth! Yet, we get bitter running errands and serving in the nursery. He instituted the church because He longs for us to glorify Him when we work together; but we continue to let routine life become mundane, and we take relationships for granted. My pastor spent some time in 1 Timothy 2:1-6, teaching especially from the first two verses. Paul urges us that supplications, prayers, intercessions, and thanksgivings be made for all people. We are called to lift each other up–to whisper of His love in that sweet baby’s ear while we console him or her during worship. Therefore, as this new year begins, I want to embrace those moments that I might have overlooked. Have I gotten so busy and caught up that I have missed opportunities to share the gospel? Or possibly worse, have I gotten so bogged down that I have made my amazing Father appear to be a burden that others would want no part of? I must remember that I am accountable for every action; I will someday fall on my face before a loving God from whom nothing will be hidden. As I go through my daily routine, I want to strive to please only One and fully trust God for the events that unfold. I want to start 2016, not counting the days, but in daily praise I want to count on Him. This new year is already upon us, and I want to ensure that home school group leaders know there is a network of leaders across Texas to help us support home school families better. THSC is continually seeking to connect home school families through home school groups. 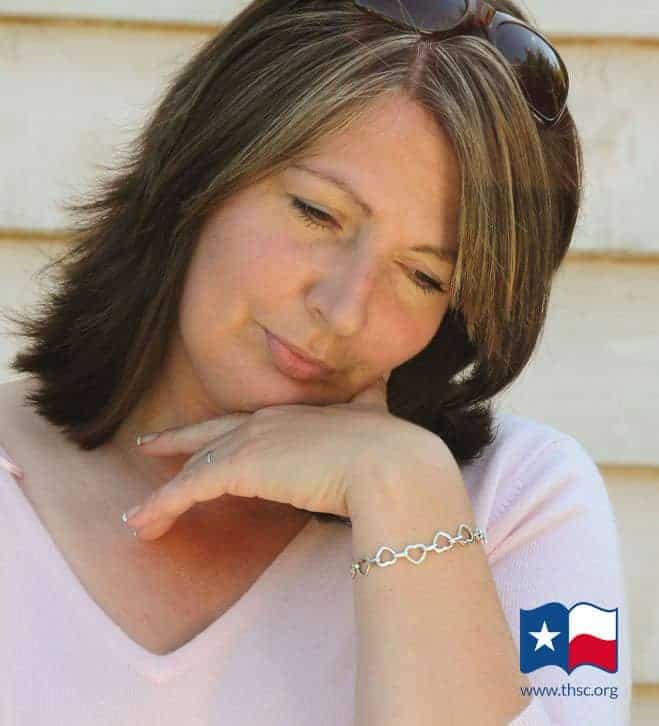 As the Leadership Support Manager, I am available to help groups connect through email and this site and through affiliated regional groups, such as Heart of Texas. Please take a minute to check our list of home school groups and add or update your information so that home school families can find your group and other leaders will be able to connect when they have opportunities to share! We ask that you encourage your members to become a member of THSC in order that we can continue to offer support to Texas home school groups like yours! Ashley Lawson is the customer relations manager for THSC. She loves the Lord and her family with all her heart, and she loves being a part of the amazing homeschool journeys of Texas families. Ashley is currently homeschooling, and runs a small business with her husband. She has served as treasurer and director of her homeschool co-op, school board trustee and secretary, VBS director, as well as serving with various church committees. Ashley and her husband Mike have six children and two grandchildren. She enjoys reading, being outdoors and spending time with her family.